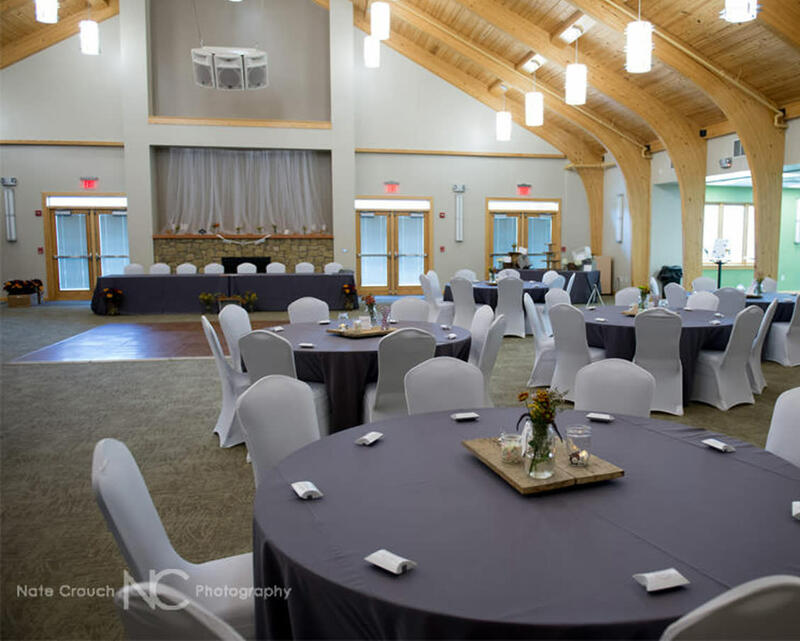 With available seating for up to 300 guests, The Pavilion Center is the perfect place for wedding ceremonies and receptions, business meetings, conferences, family reunions, birthday parties and much more! This facility has both indoor and outdoor capabilities set within the bottom portion of Washington Township Park. The striking Pavilion Center provides a lodge type feel with exposed wood and ceilings that soar within a multi-functional space. The back of the facility opens to an outdoor covered patio overlooking a pond that adds to the ambiance and beauty. Check out the Meeting Facilities tab for more details. 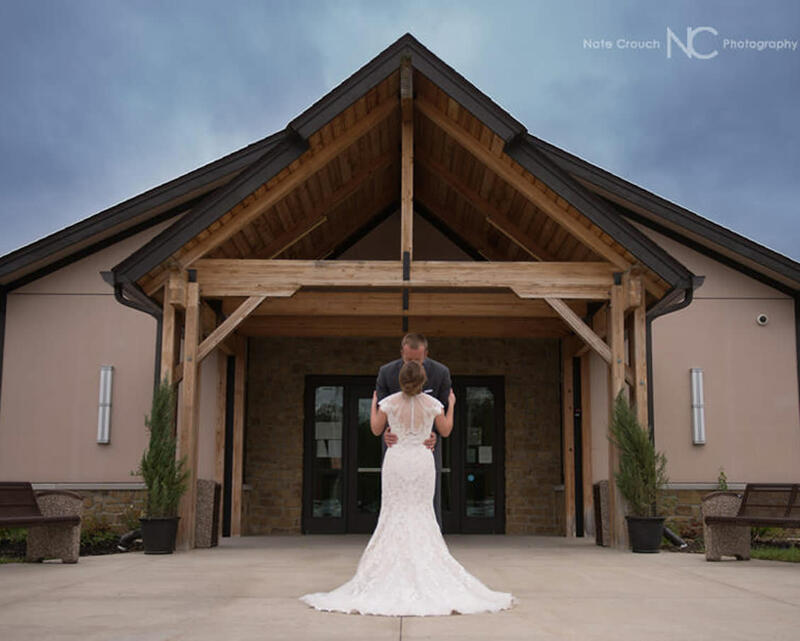 Description Nestled at the back edge of Washington Township Park, the Pavilion Center is surrounded by green space, a wooded tree line, and a pond off of the back covered patio. This beautiful building boasts exposed pine knotty beams, high peak ceilings, lots of natural light and a modern alternative to a park-like setting. With available seating for up to 300 guests, the Pavilion Center is the perfect place for special events, reunions, wedding ceremonies and receptions. Space Notes No one group may rent the space in a weekly re-occurring manner. Rates vary depending on residency and rental time of the week. Mon-Thur, 9am-4pm, small room with seating up to 50 is no charge. Saturday, full building, full day is $2750.